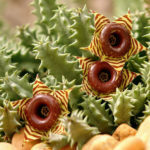 Huernia zebrina N. E. Br. 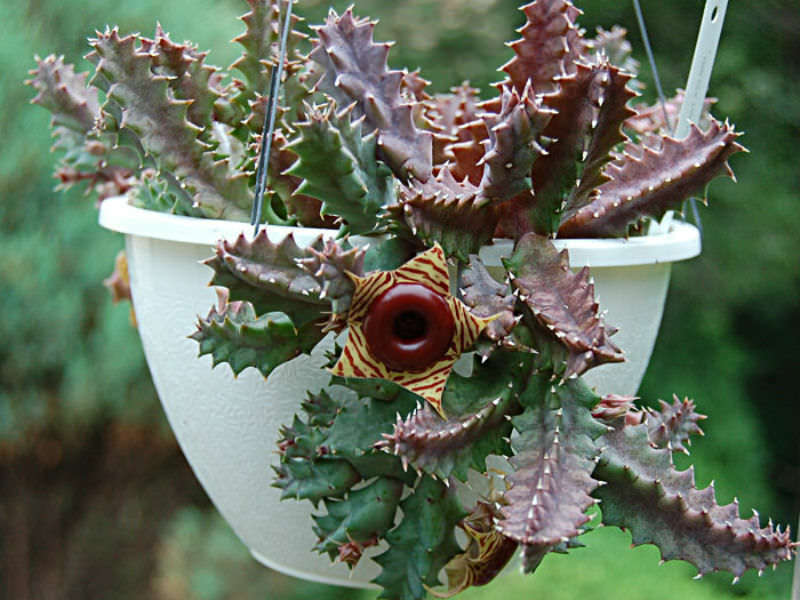 Huernia zebrina is a low-growing, perennial succulent, more or less creeping, occasionally forming mats. 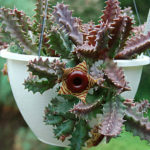 It is one of the most beautifully flowering Huernias and very popular in cultivation for its odd blooms. 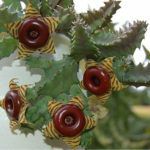 The stems are deflexed-decumbent or decumbent-erect, tapering, 4- to 6-angled, irregularly branching, up to 2 inches (5 cm) long, 0.5 inch (1.2 cm) in diameter and strongly toothed. 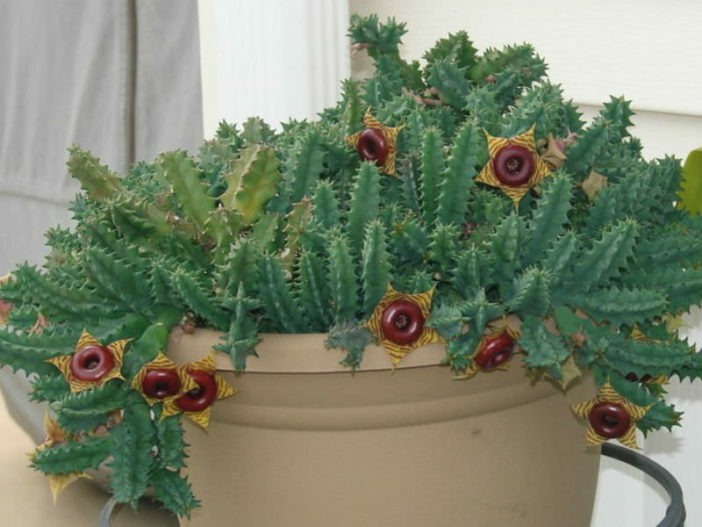 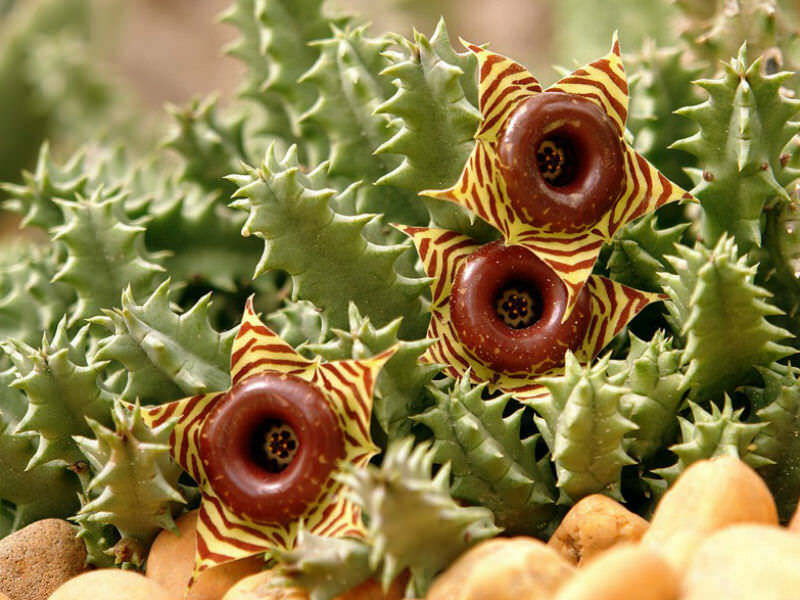 The amazing flowers are 5-pointed, yellow, star-shaped are banded in coppery brown with a dark red rim. 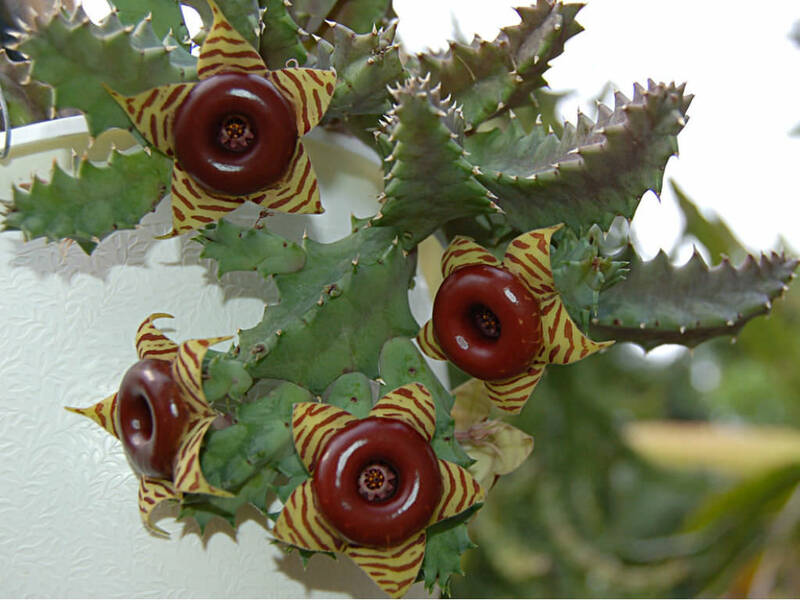 Huernia zebrina is native to Mozambique, Swaziland, Zimbabwe and South Africa.